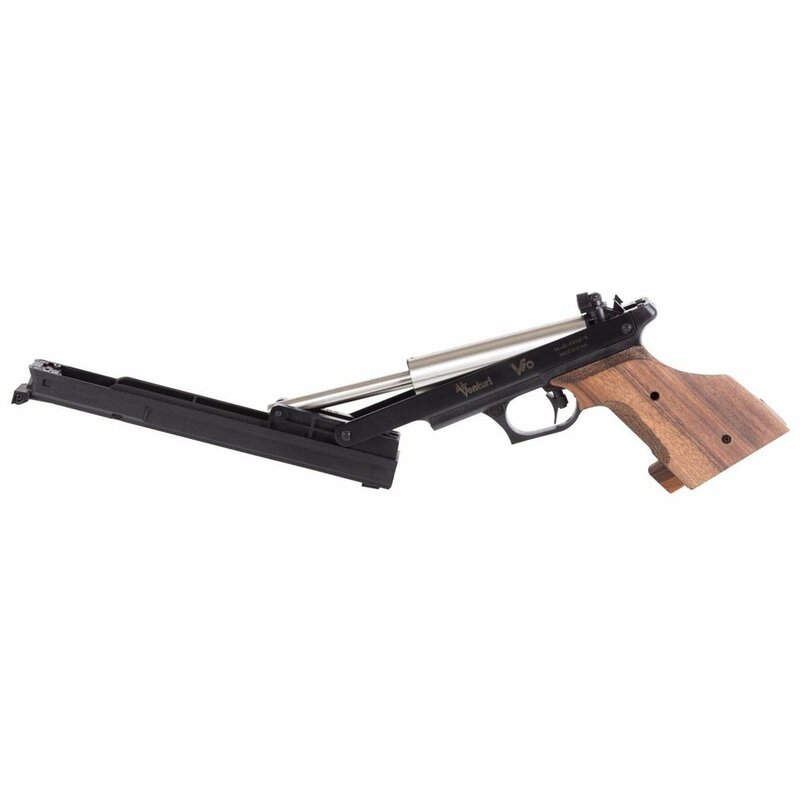 The Air Venturi V10 is an ideal entry level air gun for 10-meter target shooting. 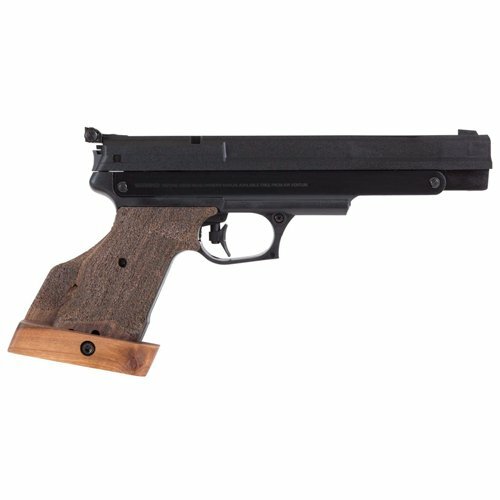 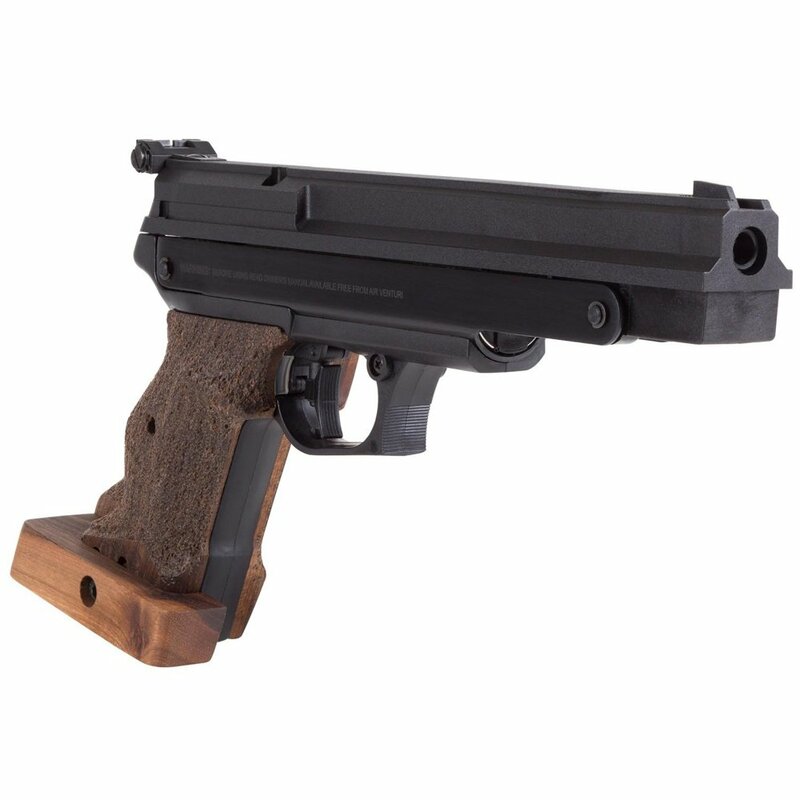 This pellet pistol has a single stroke pneumatic firing system that’s completely vibration and recoil free. It fires .177 rounds at a reliable 400 FPS down its competition grade rifled steel barrel. 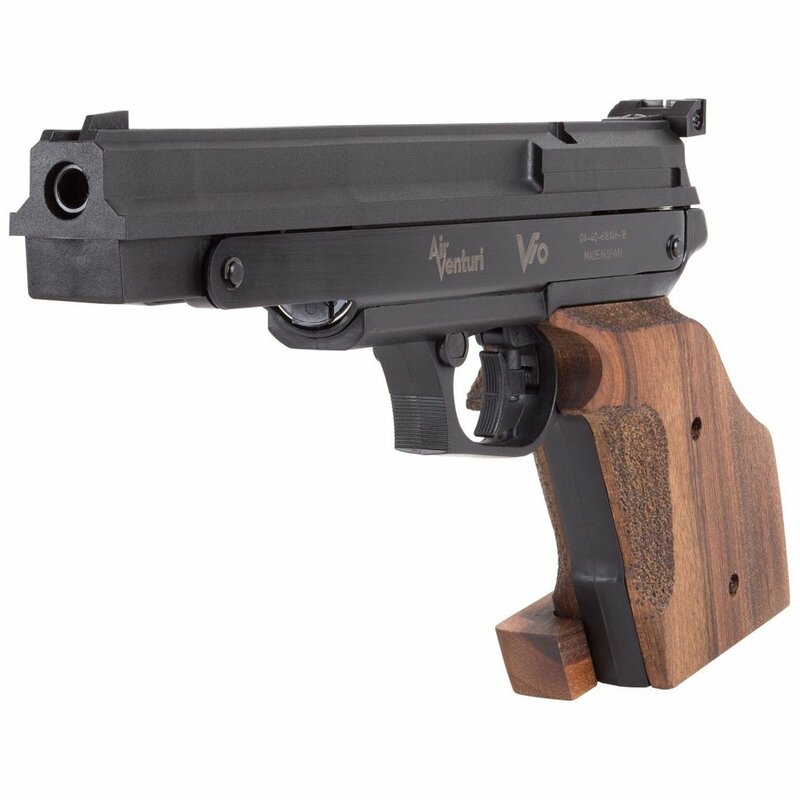 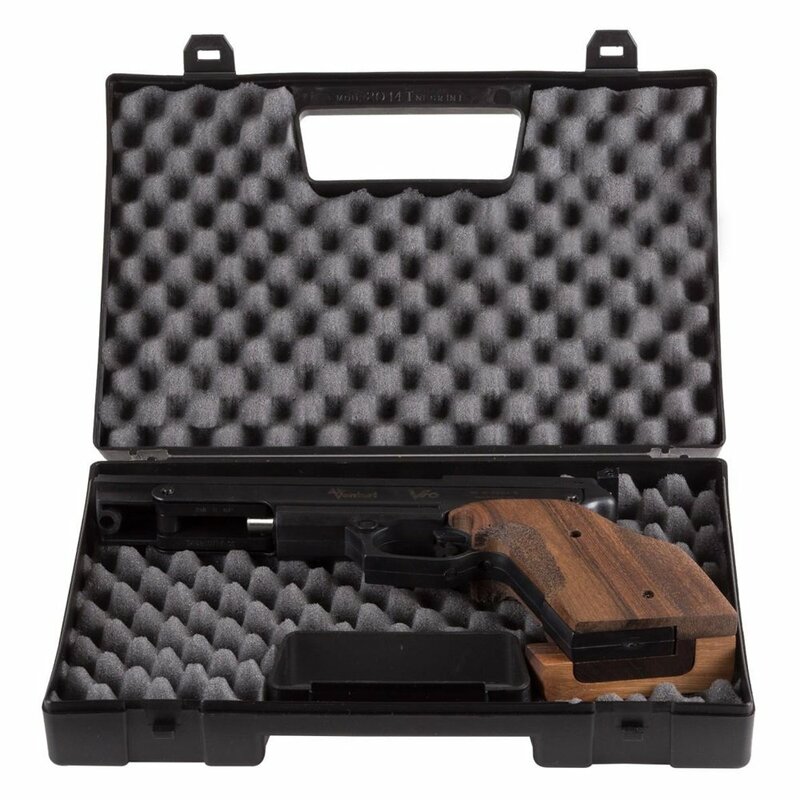 Designed exclusively for right-handed shooters, the walnut grip has an ergonomic stippled textured and a palm shell for maximum comfort. 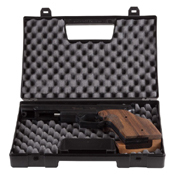 It comes in a lockable polymer case for secure transport and storage. Stippling is a form of grip texture found on pistol and rifle wood stocks. 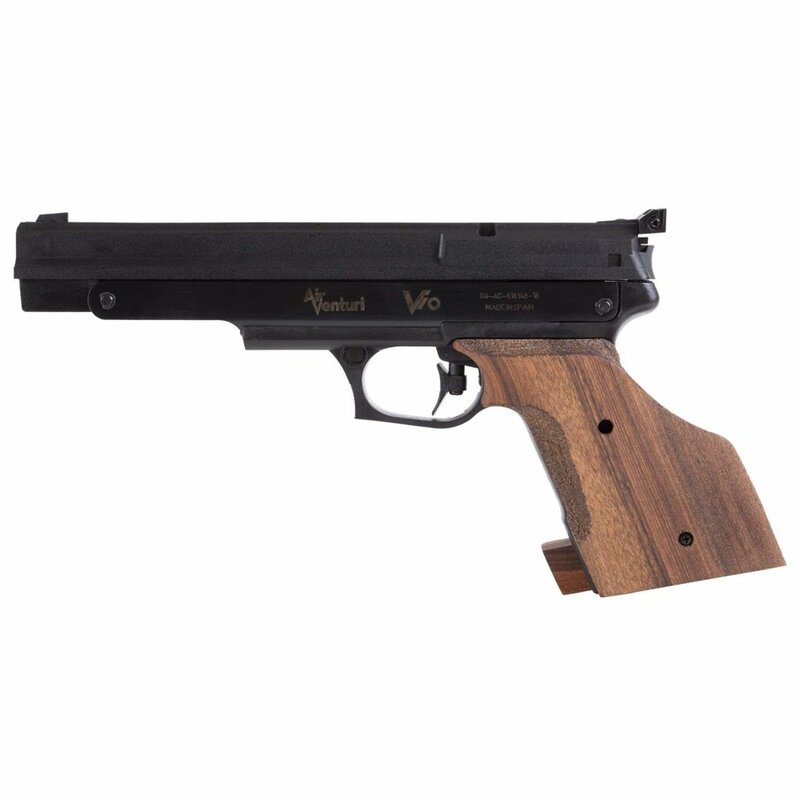 It is essentially closely spaced and randomized indentations in the surface that provides a wide degree of gripping points.